Good, honest fly lines from the worlds best fly line manufacturer. One of the most common questions we get asked is "What fly line should I match to my Epic fly rod?" - Well, now you know, it's this one. Our Glassline fly lines are made by the worlds most experienced fly line manufacturer - Scientific Anglers. The tapers have been developed exclusively for us, but are based upon proven design principles time tested on rivers and lakes worldwide. Each line complies with the American Fly Fishing Trade Association industry standard for its class. These are 'true and correct' fly lines - you get exactly what's written on the tin. Choose our Glassline DT when presentation and stealth are important. They are great for delicate dry fly presentations, presenting emergers and are superb for roll casting. We reckon these lines are a perfect match for all our Epic fly rods be they Glass or Carbon Fibre, but they will also perform just as well on medium action fly rods form just about any manufacturer. Confused about what fly line to choose? It's early yet as we are in close season. The targets were placed in the back garden as they were forty years ago and the rod was loaded with the new flyline from swift. This same journey started forty years ago with an old glass rod I did my best as a twelve year old but I was a novice caster and the tools were poor. Now however with the new epic rod I hit every target every time. It has helped that I have represented my country in world fly-fishing championships and my skill levels are far more than what they were when I first used fibreglass rods but this epic journey was a new dawn. This rod was every bit as accurate as my top of the range modern wands. 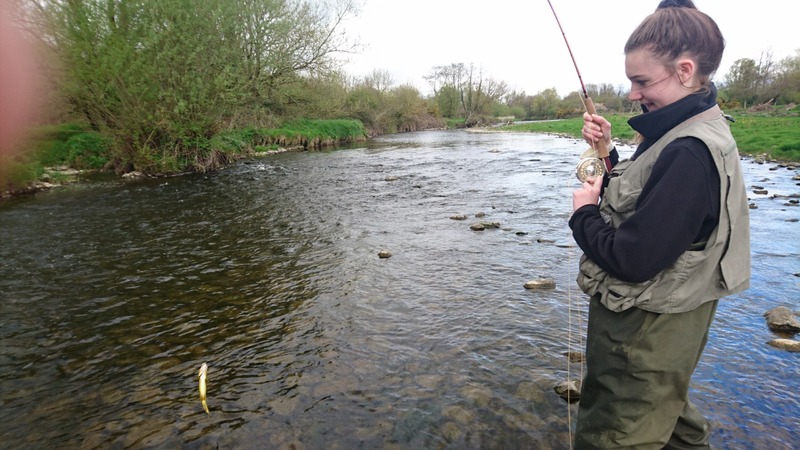 This felt magic and all that is left is for the boy in me to step back in time on my favorite stretch of Irish rivers with a rod from the future and land my first fish in forty years on a glass fibre wand. Thanks for what will be a new beginning for me. This is an excellent line and pairs perfectly with a 480. Soft presentations, and shoots line far better than I'd expect such a soft rod to do. Just magic. I must like EPIC Glasslines as I now have three of them (DT4, DT5, WF6). Here is why I like them: First and foremost, they are made in the USA by Scientific Anglers, a company whose products I have used for over fifty years. The EPIC lines don’t have memory issues, the cast beautifully and lay out straight, and they shoot through the guides. Everything you want in a fly line. The only “negative” (and not a strong one) is that they could be more sensitive. As far as choosing a Weight Forward vs Double Taper, I would offer this: it appears that the taper of the WF and DT lines is the same. Therefore, if your casting is mostly in the under forty foot range, choose the DT. Why? Because a DT line is really two lines for the price of one. If you damage or wear out one end, just turn the line around and you have a new line. This can’t be done with a WF. After emailing Carl to make sure the sale lines had end loops, I ordered a DT4F and a DT5F for my Epic rods. He assured me that they did. I just received them and the DT5F had no loops. This is useless to me as I used furled leaders and I am not going to nail knot a piece of mono to the line so I can attach my leader. The Glasslines are fantastic. they match Epic fiberglass rods perfectly and are true to weight. 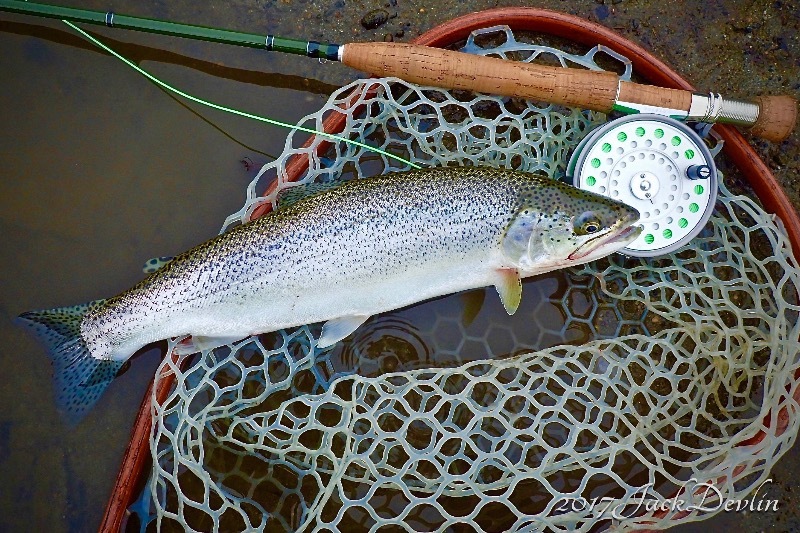 The double taper lines are very easy to roll cast and present the dry fly efficiently.